As many a motorcycle enthusiast can likely attest, one of the great joys of motorcycles is going for a ride with a passenger. When a passenger comes along for the ride, however, it can complicate the facts of a personal injury lawsuit involving a motorcycle accident in Rancho Mirage. If you are a loved one has been injured with a passenger in a motorcycle accident, a Rancho Mirage motorcycle accident attorney at The Ledger Law Firm is ready to discuss your right to compensation. For now, here is a closer look at existing California law on injuries that are suffered by passengers in a motorcycle accident. A motorcycle rider may carry a passenger, assuming certain key legal provisions are met (which are outlined by §27800 of the California Vehicle Code). California law expressly provides that a motorcycle must have a seat that is securely fashioned to the motorcycle and contains foot rests. Alternatively, if the former is not possible, the motorcycle must have a sidecar attached that is designed for carrying passengers on the ride. Riders and passengers alike are also required to wear a helmet at all times on a motorcycle based on §27803 of the California Vehicle Code. California law also requires any motorcycle passenger to keep feet on the foot pegs of the bike while traveling at all times. This raises a necessary point regarding the legal status of a child passenger. If it is not possible for a passenger’s feet to touch those foot rests, then riding on the motorcycle is not legal. And, a separate California statute (§27360 of the California Vehicle Code) also says any child under the age of eight cannot ride on a motorcycle. If, however, a child is eight or older and can reach the footrests of the motorcycle, then it is permissible to take the child as a passenger. What Happens If a Passenger Does Not Follow These Laws and Is Injured in an Accident? 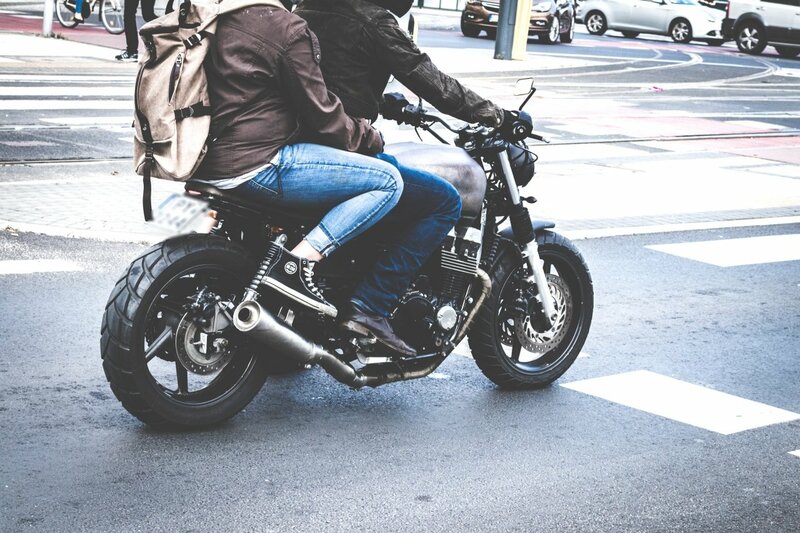 If a motorcycle passenger is following California law and is a legal passenger, then of course they are legally entitled to compensation in a motorcycle accident caused by a negligent party. 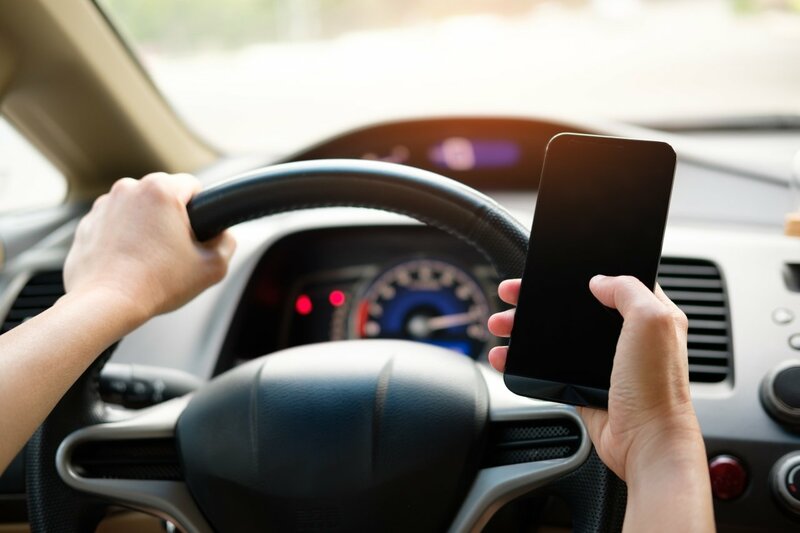 However, if a rider or passenger is violating one of the above laws, then they could be held partially at fault for the accident or their own injuries. This is not to say, however, that being partially at fault prevents the accident victim from receiving any legal compensation. As a pure comparative negligence state, an accident victim who is partially at fault can still receive compensation so long as another party bears some legal responsibility as well. In such a scenario, the accident victim’s proportion of fault will be set as a percentage that reduces the amount of compensation. Still, the fact that accident victims are not barred from receiving compensation when they bear some responsibility is significant, especially for motorcycle accidents resulting in severe or even permanent injuries. If you have been injured as a passenger in a Rancho Mirage motorcycle accident, a Rancho Mirage motorcycle accident lawyer is ready to discuss your case. Contact us online for a free consultation to discuss the injuries you suffered as a motorcycle passenger today.